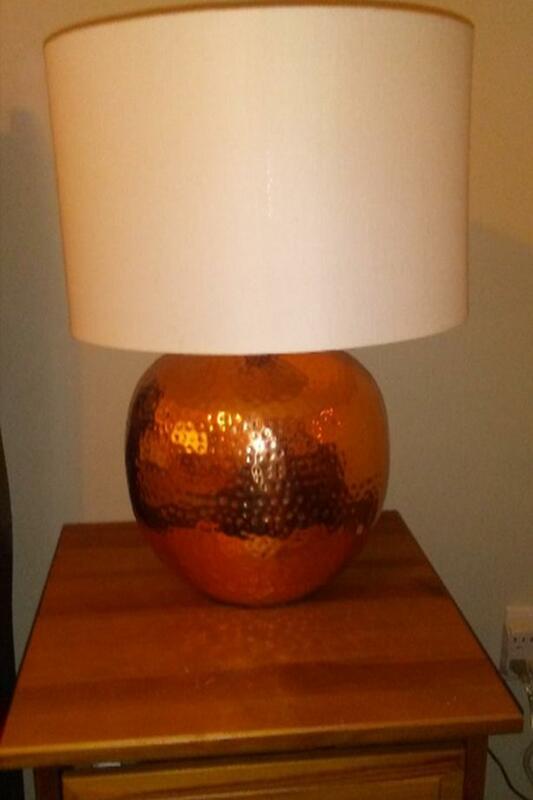 From the Kush two hand hammered copper lamps with linen shades. Mint condition. 100 each or 175 for both. Originally 500 per pair 6months ago.